A common complaint, at least on pre-2016 C650GT's was the poor visibility from the mirrors. They are not high enough to view over shoulder and not out far enough to see well directly in back. Been various posts on this. I've tried just about all the blindsight mirror I thought would work on the existing mirror and posts with mediocre success. 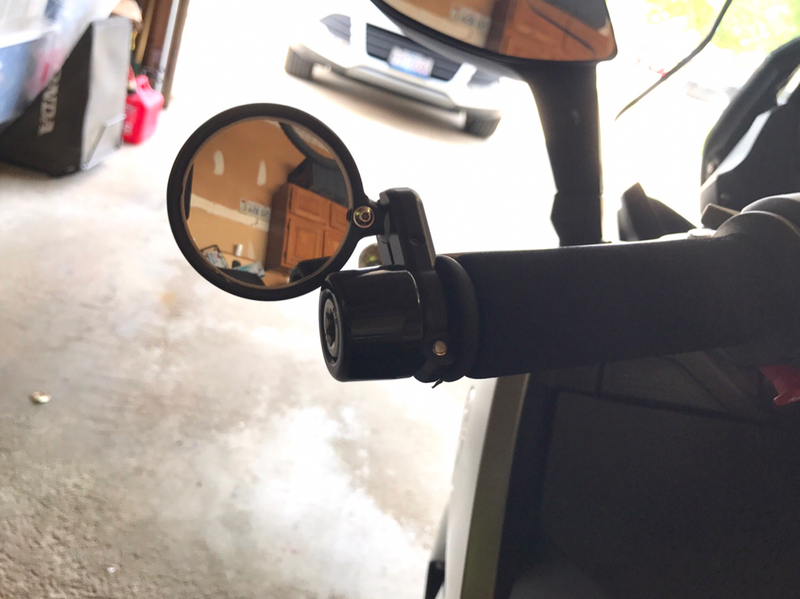 Earlier in year I purchased some bar end blind spot mirrors from Amazon and just got around to putting one on and trying it today. So far this has been about the best solution as I could actually see my top box and almost directly behind me with these. Only negative is you need to look down but I found a quick glance and I could confirm if a car was directly behind me as needed so worked pretty well. Did you have to move the grip or was the screw on the bar end cap long enough to reach? 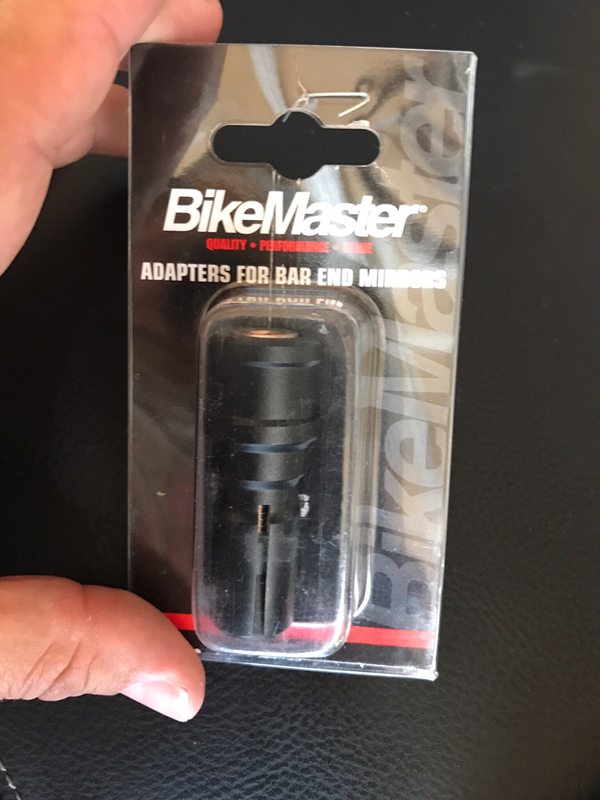 I originally purchased a smaller diameter bar end to use. 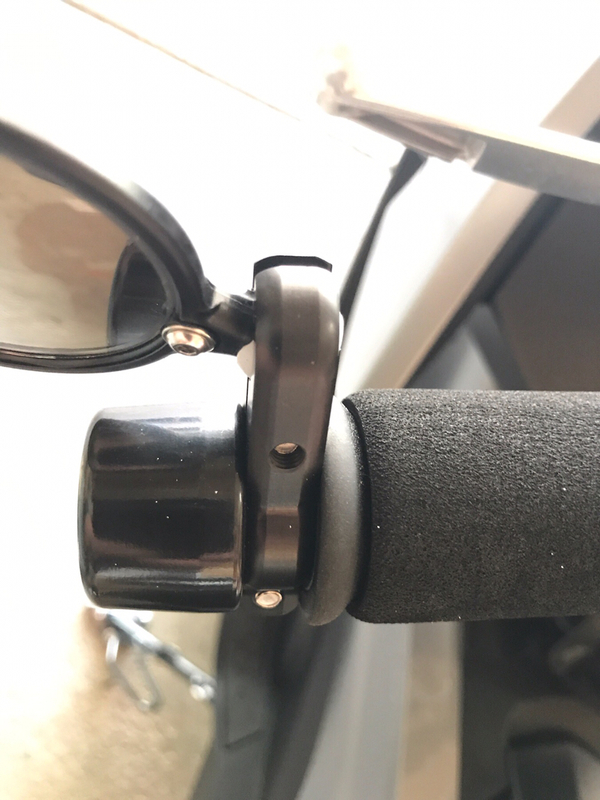 But then when I removed the original bar end I found I could wrap it with some electrical tape to increase the diameter of the bar end that would be inside the bar and use this for the mirror. By tightening it down it gets sandwiched between the bar end and the grip and stays in place. You set the angle of the mount and then can fine tune the mirror with the ball and socket of the mirror. Did you have to move the grip or the screw on the bar end cap long enough to reach? So I gotta ask as I have not seen the new 2016+ models. Will the new mirror stalk mount on the prior years? That would be too easy if it worked. I personally don't know. I know some have the collision avoidance light that may have a different connector so might not work. I understand slightly taller and maybe different shape for better view. I am sure someone who has a newer model also had an older model and might be able to comment. When I've seen them (C650GT) side by side (I own 2016 version), the mirrors look to be about the same to me. However the base from which it mounts and swivels appears to be approximately one inch or more taller on the newer version, effectively raising the mirror by that amount which does makes an obvious enhancement for the rider's vision. In this photo, you can see the base is different (taller) for the 2016. The windscreen (in this comparison photo) is in a slightly different position and the angle (which is close) is a little different on the two bikes and can throw you off a bit, so try to ignore that, but look closely and examine the base mount height and then you can see for yourself. Bornfree, Thanks, now that you posted that, I do recall reading that somewhere. 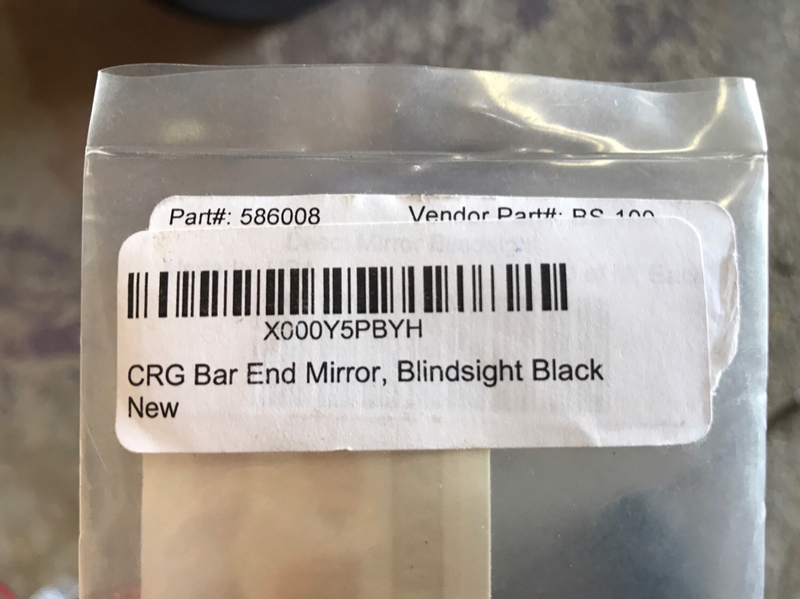 It looks like for 2016 and newer, and maybe late 2015 models, BMW shows a different parts number for the mirror assembly. 2011-2015 models use Part # 51167725121 (left) and 51167725122 (right). 2015-2017 models use Part # 51168557886 (right) and 51168557885 (left). Doesn't look like you can buy just the base, only the entire assembly at nearly $450 per side. And even so, no indication that it would fit. I guess the blind spot mirror is a more cost effective solution for the older models. Thanks for the explanation, this certainly does look like it's a better solution than the type that you stick to the existing mirror. Where did you find that attachment pic? Looking to see if I can pry off the mirror part and drill a hole on the bottom of the mirror base to add lights. I would try a parts fiche like the one at Max BMW. They usually have exploded diagrams like this one with part numbers.